Biography: FHF Sandpiper was a lucky find when Amily bought him. 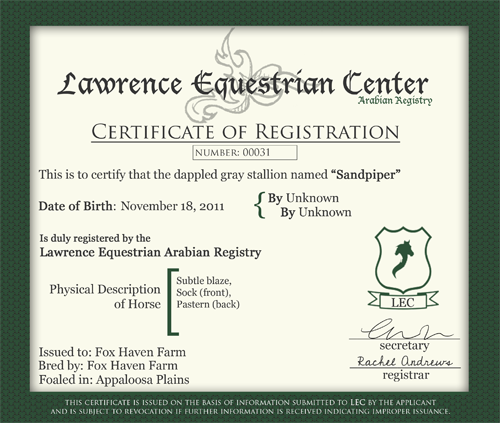 FHF Sandpiper was the last foal born to a failing Arabian ranch, and demand for him was high. 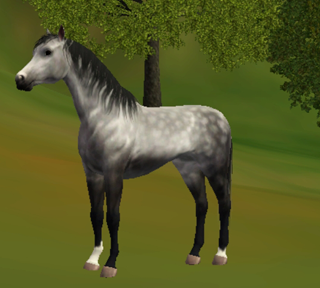 From the moment Amily saw him, though, she knew she had to have him to be one of her Premiere stallions. She has never regretted the decision. FHF Sandpiper is mischievous and resourceful, and always keeps Amily and the other staff on their toes. He enjoys jumping, and going for long hacks with Amily. He is graceful and elegant, and has all the stamina and endurance of his breed. FHF Sandpiper is available for Stud. Check out the Breeding page for more information.